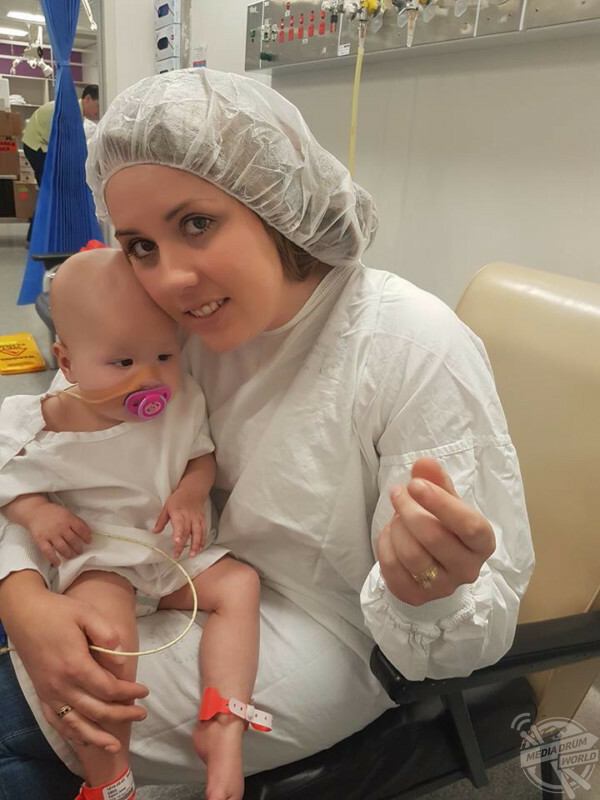 MEET THE brave toddler who is now ticking off her bucket list with her family after a relapse of a rare brain tumour means that she only has a few months left to live. In August 2016, full-time law student and mum-of-three, Charlene Ebbs (31), from New South Wales, Australia, gave birth to her youngest daughter, Kalani (now two-years-old). Kalani pictured smiling with her family (from left to right); Charlene, Justin, Kallen, Khaleesi. 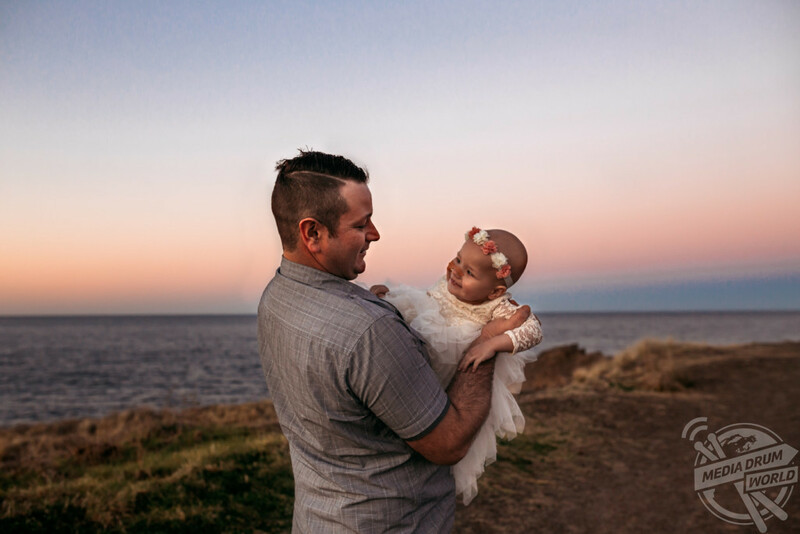 In December of that year, when Kalani was four-months old, Charlene and her husband, Justin, began to notice that she was weaker than the average baby her age, particularly struggling to control the movement of her neck and head. 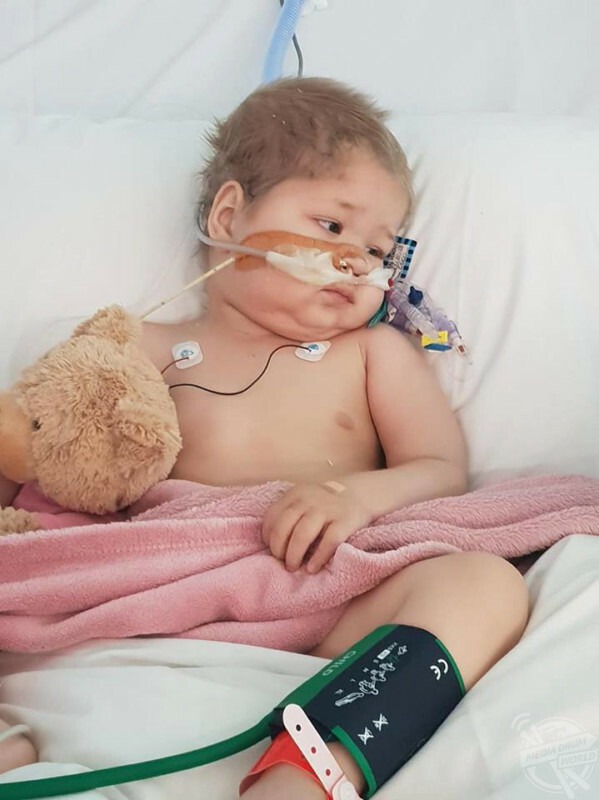 They booked her in to see a paediatrician and Kalani began to scream for around three-hours consecutively and threw up a lot, which worsened over the initial few weeks. She was placed on reflux medicines and her vomiting became so serious, she was admitted to their local emergency room. Kalani pictured in a photoshoot. In March 2017, she was diagnosed with atypical teratoid rhabdoid tumour, a rare malignant brain tumour usually diagnosed in childhood. Over the next few weeks she underwent numerous surgeries including an emergency right temporal lobe resection brain surgery, a procedure to insert an external ventricular drain (EVD) to release pressure out of her ventricles. 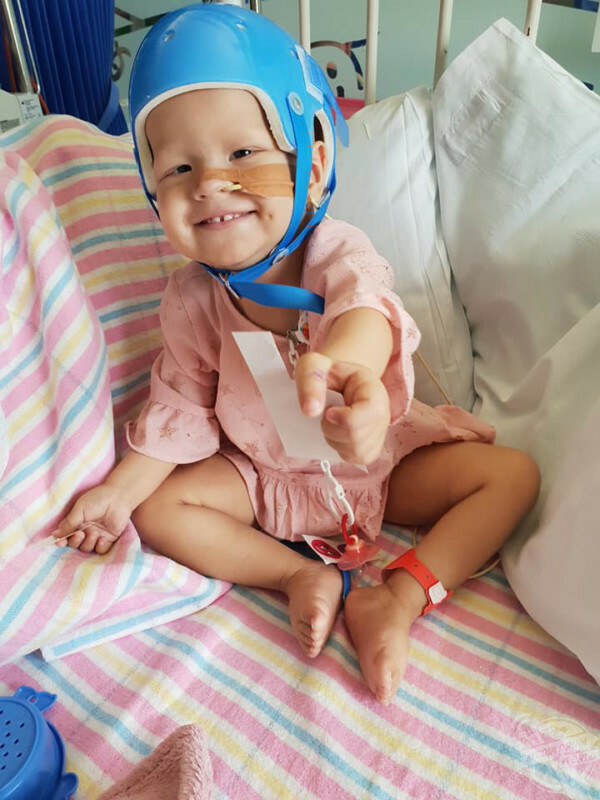 In April 2017, Kalani had to undergo chemotherapy over the course of 51 weeks and in October 2017, when she was just 14-months-old, she had 27 fractions of radiotherapy; according to doctors, she was one of the youngest children in Sydney to have radiotherapy to the brain. Kalani at just six months old in the hospital. “Kalani was four-months-old when we started to notice her weaker-than-age recommended overall strength, particularly her head and neck control,” Charlene said. 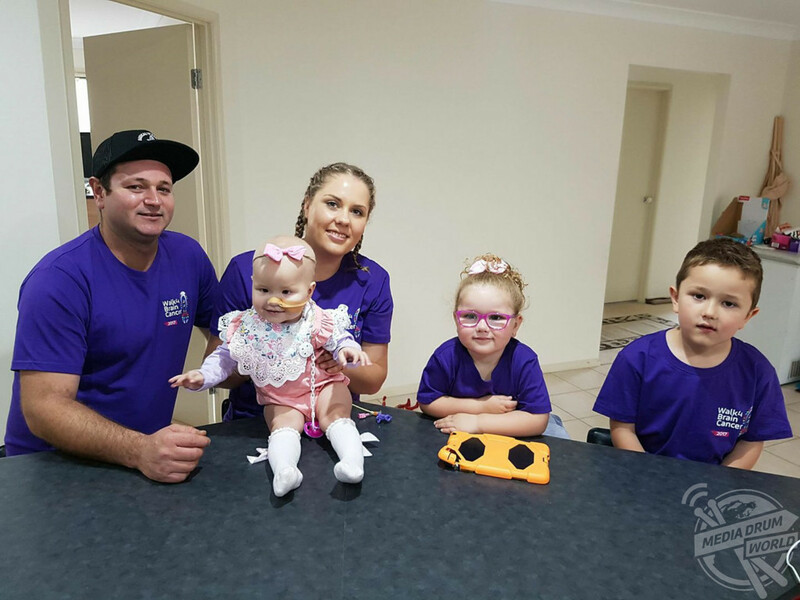 “We immediately booked Kalani in to see her paediatrician. Kalani then started to scream for approximately three hours most nights unconsolably and she also started to vomit which gradually worsened over those initial next few weeks. Kalani pictured after her family were informed she has relapsed. 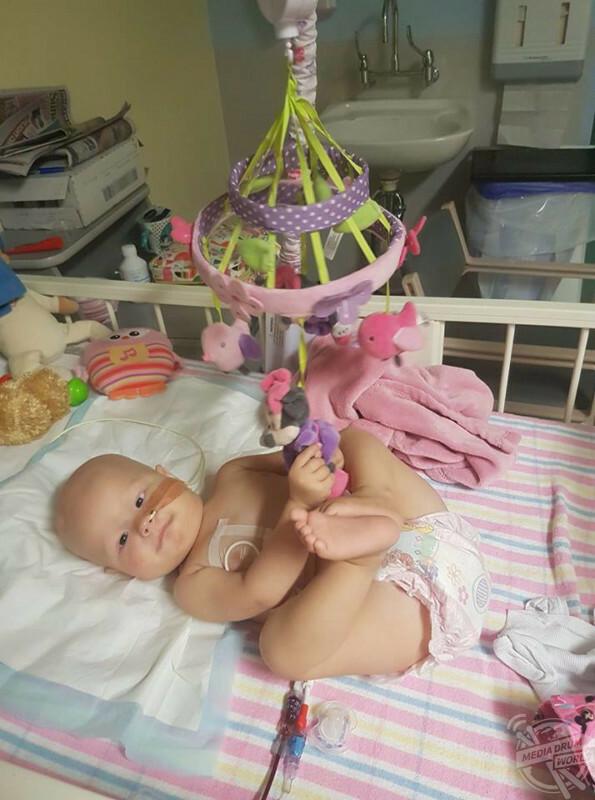 “Kalani was placed on reflux medicines and her vomiting eventually became so debilitating, we immediately admitted her into the Wollongong Emergency Department. 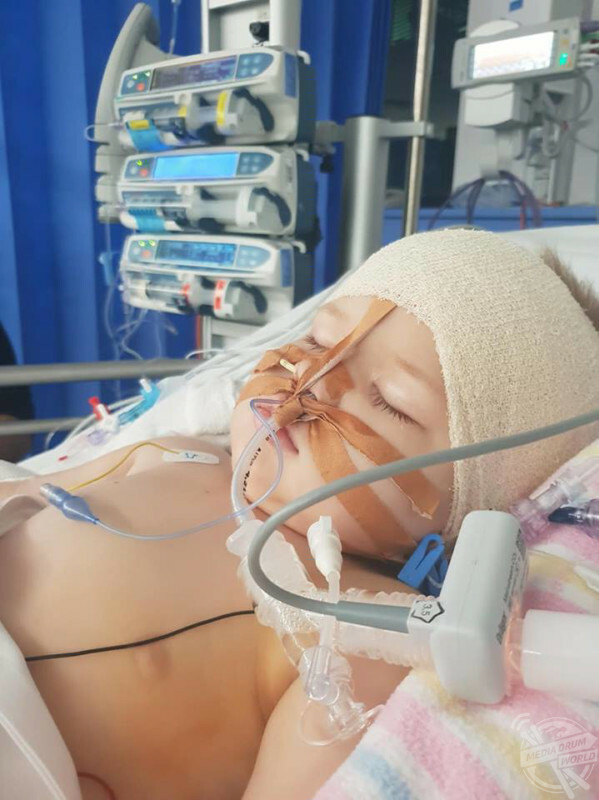 “In hospital our paediatrician took a remarkable four-days to uncover that Kalani had a brain tumour in her posterior fossa, fourth ventricle region. Kalani pictured with her brother Kallen (behind her) and her sister Khaleesi. “The tumour was three centimetres in width and four centimetres in length, blocking her cerebral spinal fluid from draining and causing hydrocephalous, a deadly pressure build up in her brain. 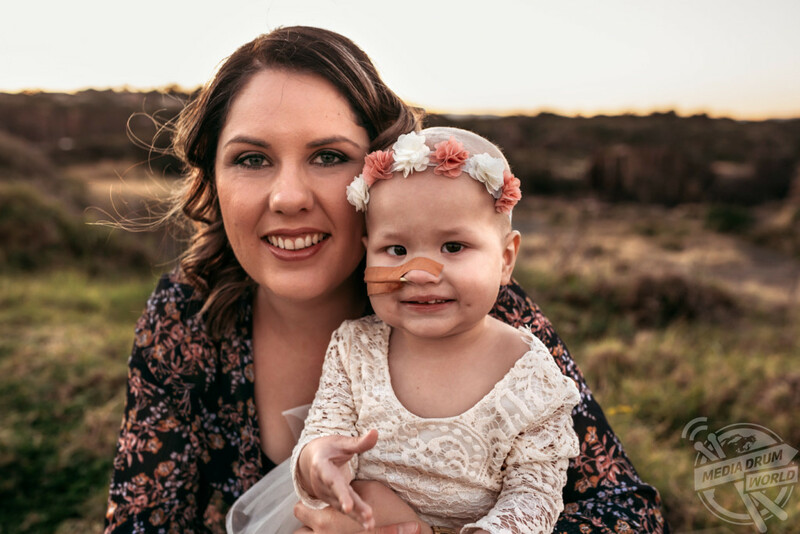 “With all cancers everyday left undiagnosed, it can have devastating results on the outcome of treatment delivered and due to her paediatrician’s timely diagnosis Kalani’s paediatrician is a remarkable man who saved her life. Charlene pictured holding Kalani just before she went in for treatment. “Some people never forget certain dates like birthdays or anniversaries; that is a date our family will never forget. The haunting day that our daughter was diagnosed with brain cancer at the innocent age of only six-months-old. “That day and the following few weeks threw our family into the deep and dark world of oncology. So many questions unanswered, so many fears and simply no time to process, or take a few minutes to just breathe. The Ebb family pictured getting ready for the Walk 4 Brain Cancer charity event (from left to right); Justin, Kalani, Charlene, Khaleesi and Kallen. 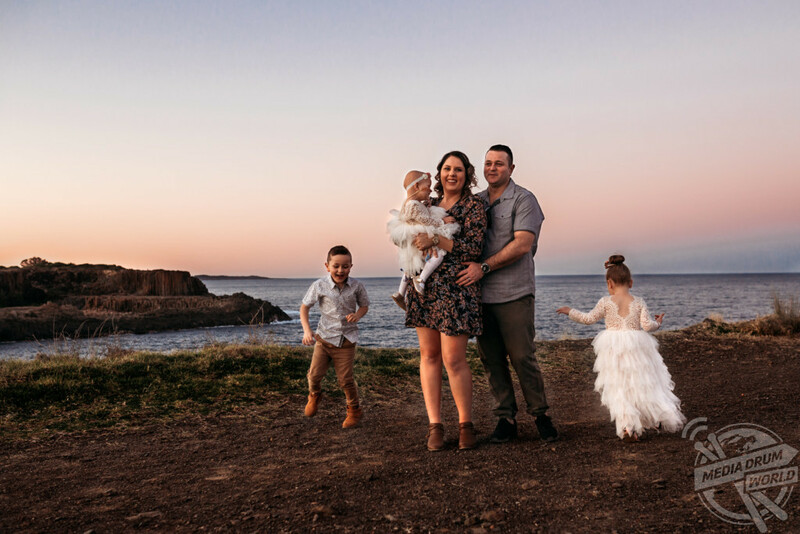 “All the doctors and nurses at Wollongong hospital were in shock; Kalani is one of only a very few children diagnosed with a paediatric brain tumour in our regional hospital. “It was devastating. Our paediatrician paced outside our room trying to gain the strength to deliver Kalani’s diagnosis to us and we could see he was heartbroken. Kallen pictured with his sister Khaleesi. “Our community was also devastated, and all rallied together to help support our family in whatever way they could. “From the moment Kalani was born and I held her in our arms I made a promise to always protect her and keep her from any harm. Justin holding his daughter Kalani. 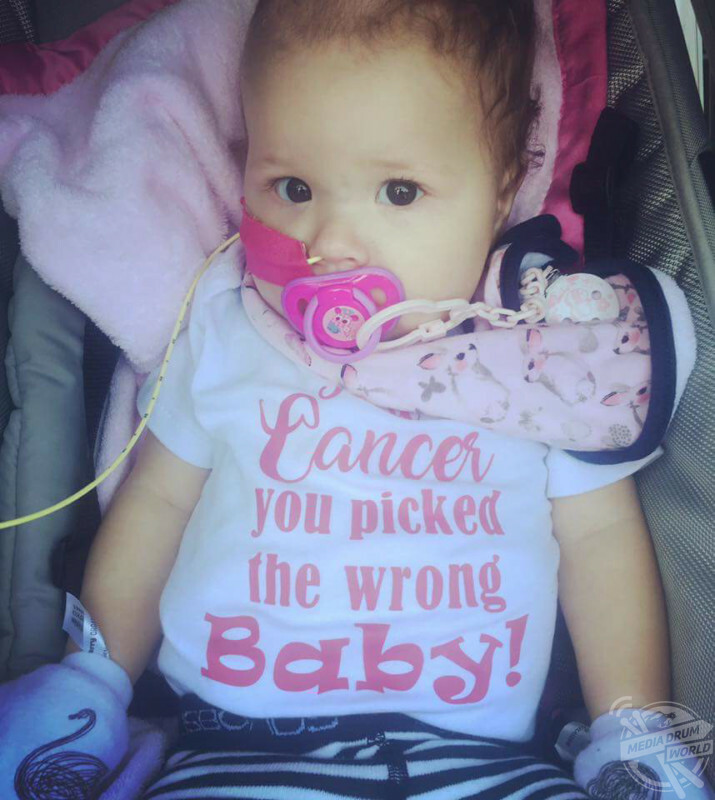 “Kalani entered this world as an innocent, fragile, precious, perfect little baby and at only six-months-old we were told our baby had brain cancer, could die and there was absolutely nothing I could do stop it. “We had no time to process the diagnosis, no time to breathe and I felt like my heart had been ripped out my chest and life was crushing it. A family portrait of the Ebbs. 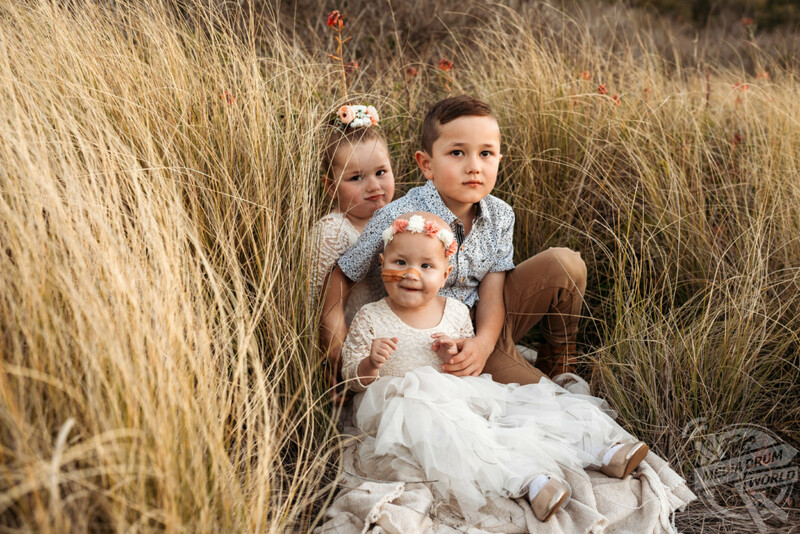 Charlene, who also has two other children; Kallen (7) and Khaleesi (3), explains that she has received nothing but support from family and friends and even strangers since it was announced that she had cancer. Charlene pictured holding Kalani with Khaleesi next to them in front of a campaign truck for Kalani. 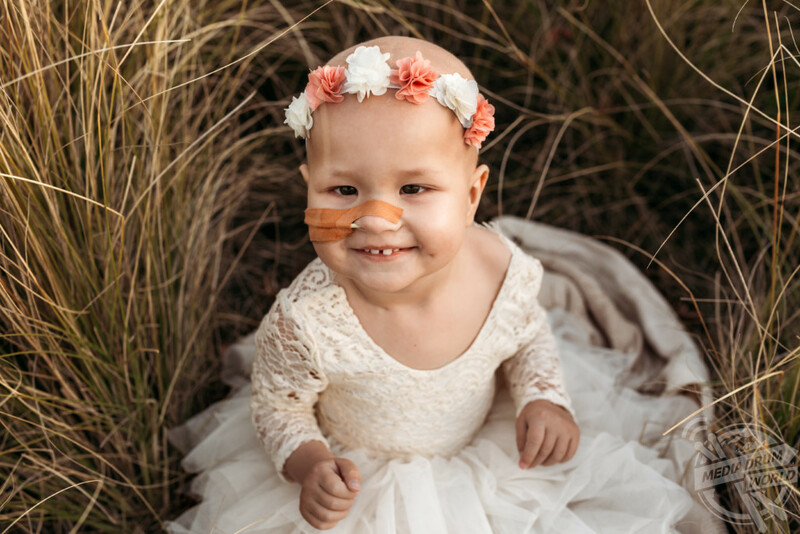 After her treatment was finished in May 2018, Kalani rang the end-of-treatment bell. Charlene and Justin were told that Kalani was declared no evidence of disease and in remission. They have been consistently trying to raise money and awareness for brain cancer research. 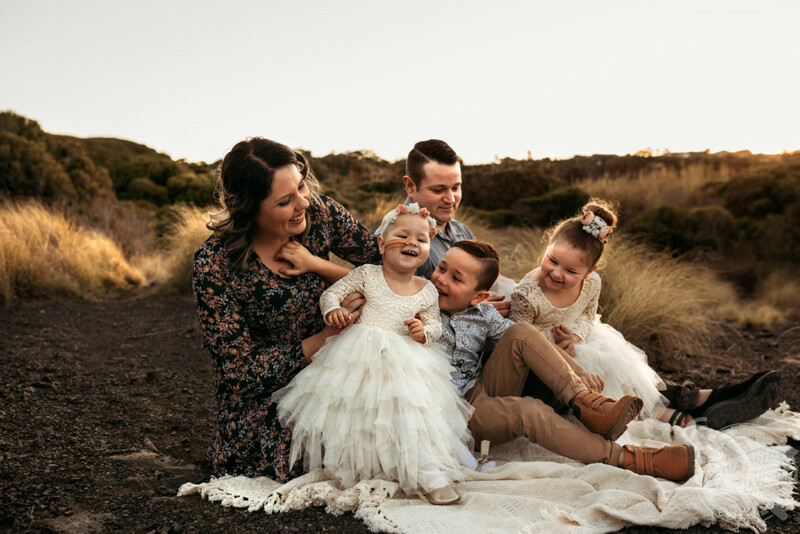 However, in September 2018, Kalani’s routine MRI revealed a spot on her brain stem and spine; five weeks later in October her MRI scan confirmed that she relapsed and that her tumours had grown considerably fast and aggressively. Kalani pictured in hospital during her chemotherapy treatments. 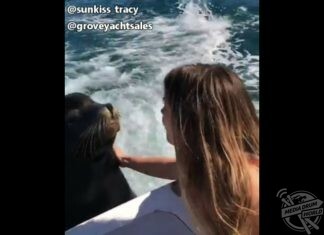 Kalani has now been declared incurable and only has a few months left to live; Charlene and Justin have since tried to fulfil a bucket list of zoos and theme parks to visit as soon as she is released from hospital. The family have also been granted a wish by a foundation to buy a puppy for Christmas. They have vowed to kiss and cuddle her more and tell her how much they love her every day, as well as making memories and documenting her journey through photoshoots, movie nights, family hand prints etc. Kalani pictured when she was six months old after she was diagnosed with brain cancer. Kalani has spent most of her life in hospitals fighting cancer, so her parents refuse to let her pass away in the hospital. So they have decided to do palliative care at Bear Cottage in Sydney which allows her whole family to focus completely on Kalani in a resort-style facility while nurses on site attend to her needs. 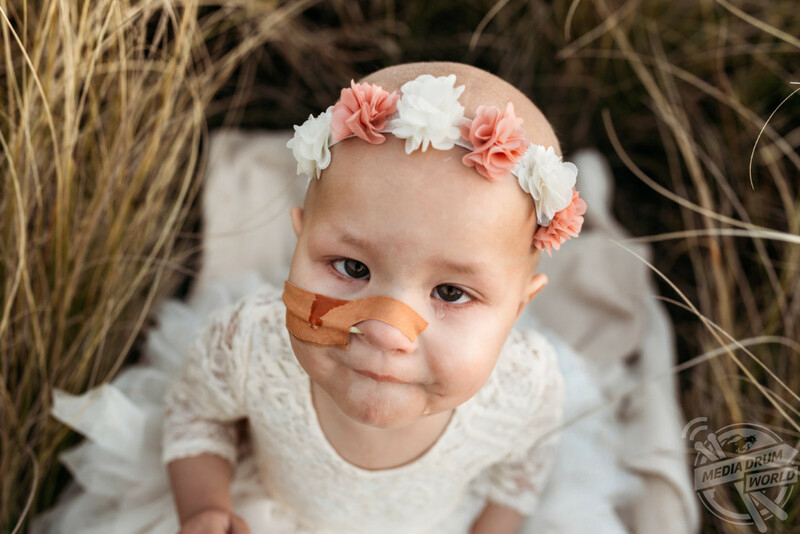 “When Kalani was undergoing her first treatment we were hopeful she was cured especially considering she remained in remission for so long,” Charlene said. Kalani at just six months old during treatment. “We knew that it was our only shot of a cure for Kalani’s rare and aggressive brain cancer. However, high relapse rates meant that our family always feared a relapse and we knew that it would more than likely occur within the first six months post end-of-treatment. 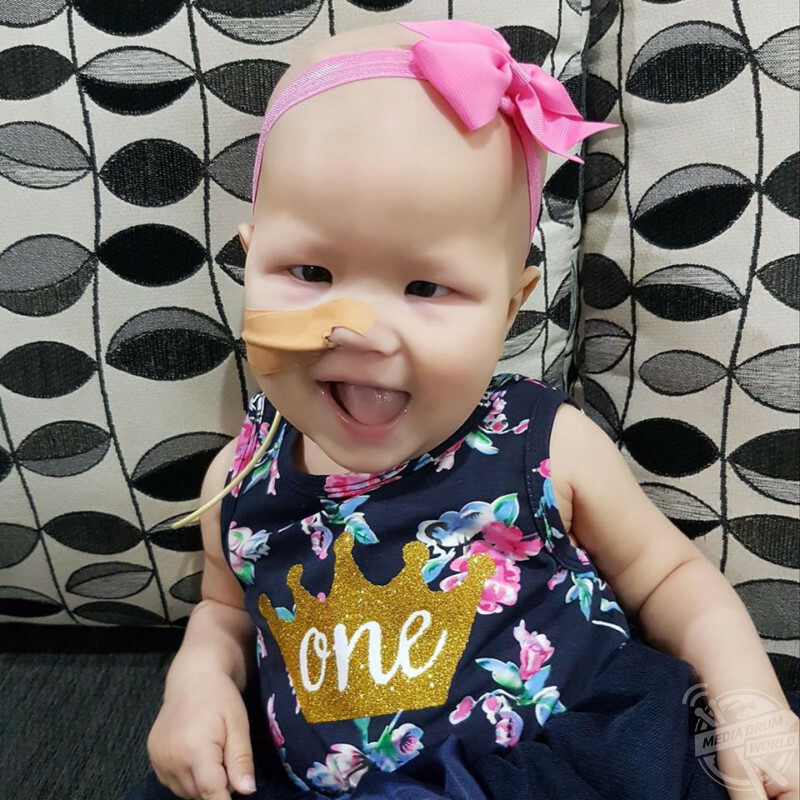 “We now only have a matter of a few months left with her and only one shot at a clinical trial to at least stabilise further growth of the cancer. 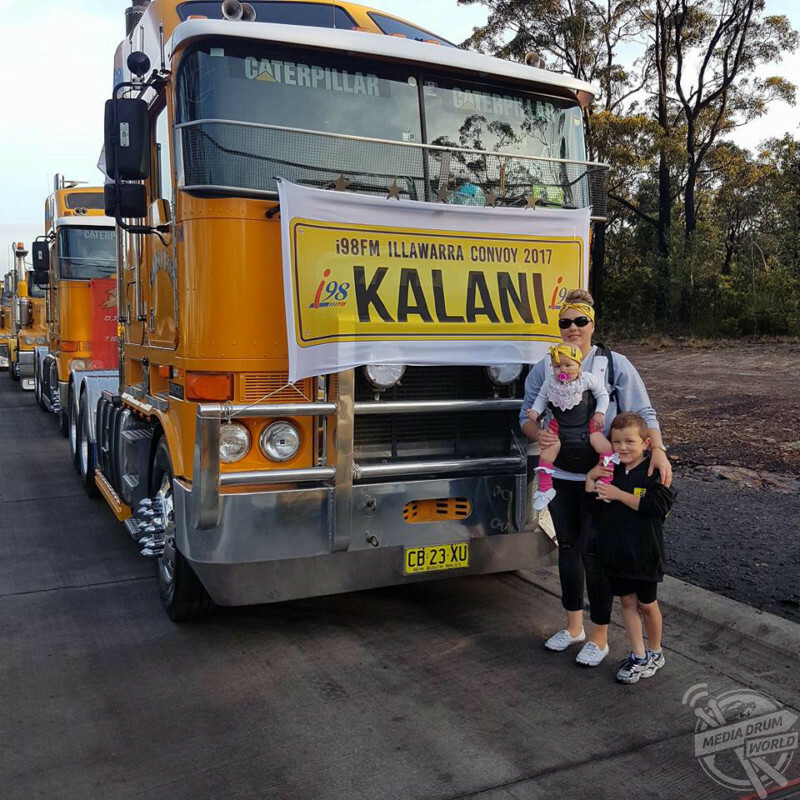 “If the clinical trial does not work now Kalani’s relapse may be too far advanced to stabilise with another trial. Within ten years only one cure has been uncovered for ATRT. 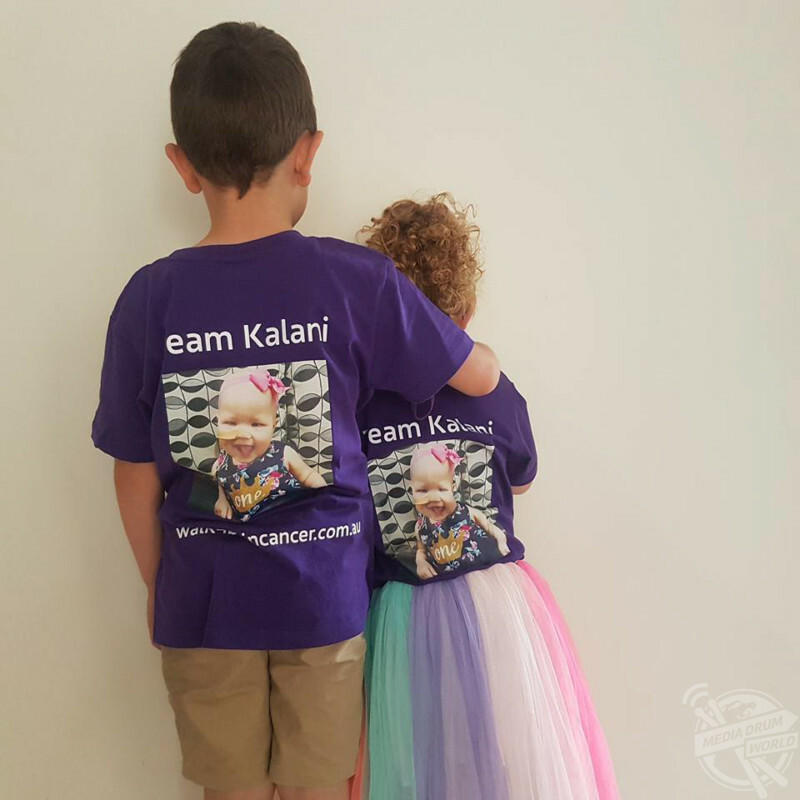 “Kalani will not last another ten years for another cure to become discovered. Right now, we are completely torn between two worlds’ hope of stabilisation, making palliative care arrangements and making memories. “We have to now live day by day and it feels like we are constantly playing Russian Roulette; trying to find a cure for Kalani with every missed bullet only bringing her closer to death. 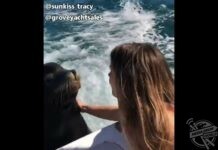 “We have received 10,000 dollars in travel vouchers from i98 Convoy which is going to be used on a holiday to the theme parks in Queensland like; Sea World, Movie World, Dream World. “As much as Kalani loves rides she also loves animals, so we will travel to Dubbo Zoo and stay a few nights on location inside the Zoo. “We have also been granted a wish from one of the foundations for a puppy for Christmas. Kalani loves puppies and we believe this is the connection her older siblings will have with her if she passes. “The puppy is being organised through the hospital’s Star Light foundation. The children believe Santa is delivering them a puppy personally, so they will receive this over this upcoming Christmas. “Always fight for what is right for your child. We must trust our medical professionals but ultimately parents know their child best.